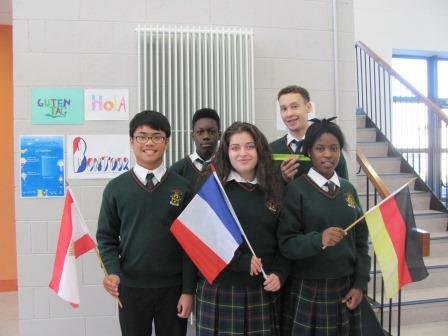 The Drogheda Grammar School Language Department now offers three modern languages – French, German and Spanish. A foreign language is a core subject at Junior Certificate level (unless a pupil has an official exemption from languages due to a specific learning disability), and it is possible for the present First Year pupils to take two modern languages. The rest of the school may take French or German only. A modern language is optional at Leaving Certificate level but most pupils take a modern language in their Leaving Certificate as it is an entry requirement for many university and other third level courses. At the beginning of First Year at DGS, pupils receive three weeks of tuition in each modern language and then they select the language(s) they wish to pursue for their Junior Certificate examination. The short introductory course is similar in each language, and aims to give pupils a general idea of the sound of the language and some basic vocabulary and phrases. 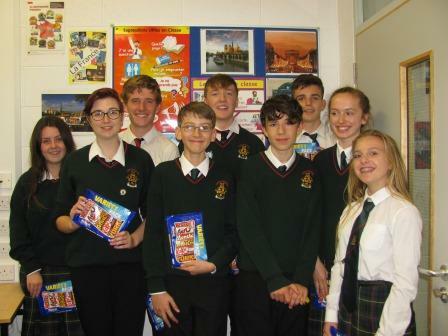 Pupils are also introduced to the cultures of France, Germany and Spain. Once pupils select their language(s) at the end of October in First Year they will usually continue with their chosen language(s) up to Leaving Certificate level. As well as being an entry requirement for many third level courses, a modern language is a huge asset when seeking employment and also when travelling abroad. As well as language and arts degrees, many universities and other third level institutions offer modules in a modern language as part of or in conjunction with their degree courses in science, IT, media, journalism, law, finance, business, marketing and catering.